CAMDEN, N.J.– After a strong performance at the Occoquan Sprints last week, despite the elements, the Robert Morris rowing team is back in action as they take part in the Cooper Invitational, hosted by Bucknell University. RMU will be one of 13 teams competing in the invitational. 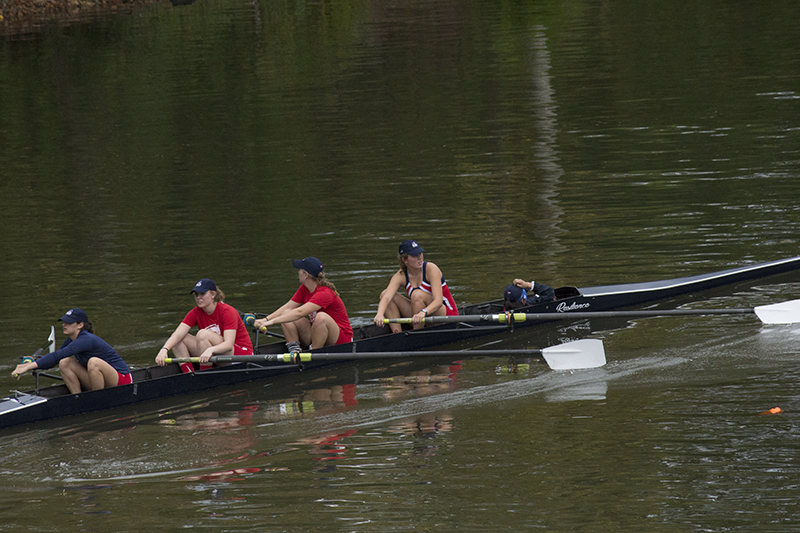 At the Occoquan Sprints, the Varsity 4+ finished third in its heat, however, the final was canceled due to weather. The situation was similar with the Second Varsity 4+, which also finished third in the heat, and the final was canceled. The Robert Morris Second Varsity 8+ finished third overall. The coxswain of the boat was Molly Rosado, and she was joined by Kathryn Gossel, Francesca Barchetti, Hannah Daman, Melissa Asaro, Emma Smith, Sophie Carroll, Nicole Kristof, and Satalia Rickman. Robert Morris also had a Novice 8+ boat made up of Alexis Pelfrey, Alana Eckels and Haley Stahon, Alexis Beasley, Jayme Sanner, Amanda Merritt, Samantha Marshall, and Mary Woods, while Isabelle Neville served as the coxswain. The Novice 8+ boat finished second behind the Grand Valley State Lakers. In the Cooper Invitational, Robert Morris will row on the Cooper River, a tributary of the Delaware River. The Cooper River has hosted the Intercollegiate Rowing Association’s IRA Championship Regatta since 1955.